"This gorgeous home boasts large bedroom suites, amazing living spaces, oversized bonus rooms, pool, and guest house making it perfect for large gatherings or dual living. Solar panels for energy savings, 7 attached garages, and separate RV garage allows for plenty of room to store your cars and toys. 3 wells for irrigation and home use, 18.7 fenced acres with abundant privacy. Gorgeous view of city lights. Close to I-5 and Hwy 22." "Whisper quiet this special property offers gently sloping acreage, year round creek & spring, Jory & Nekia soils, a charming farmhouse with barn & outbuildings nestled among the trees. 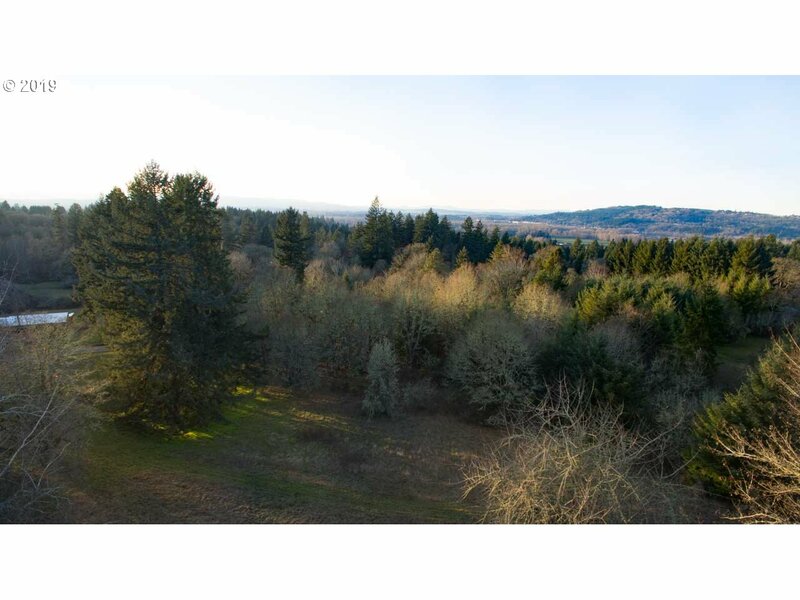 At the top of the property there is a building site that captures the best mountain & Willamette Valley views! Vineyard/orchard potential.Awesome location." "Presenting the successful Arcane Cellars Vineyard & Estate on the Willamette River. Nearly 27 acres w/18 acres of vines & 9 varieties of grapes that produce enough to keep a 3,000 case winery active. Impeccably maintained grounds. All equipment & branding included. Historic Matheny Ferry house, built in 1910, is filled with vintage charm yet updated to fit all modern conveniences. Opportunity awaits you at this private paradise!" "Opportunity knocks! Kathken Vineyards offers savvy buyers the chance to bring their own vision to this serene vineyard, winery and home. With approx. 30 acres of planted vineyard the site is a case study in premium terroir. The S/SW aspect, Jory, Nekia and Ritner soils and elevations ranging from 770-910ft. present ideal conditions for growing exceptional wine grapes. Located in the Eola-Amity Hills AVA with a 2,159 sq. ft. custom home." "Gorgeous excellence sitting on top of a 40 acre bluff w/ exquisite mountain views to the NE. Mt Hood, Adams & St. Helens showcase their magnificence in the skyline from your back deck. Large gourmet kitchen w/ island makes home excellent for entertaining/enjoying the beautiful private setting. Oak HW flrs, library/study, additional master BR on main level! Bonus RM w/wet bar. 2 lg 5 bay garage/shops. Potential B&B or vineyard! This beau"
"Unique dual living acreage with 3 houses: 2322 sq ft 4 bed/2.5 main house, 4 bed/2.5 guest house, 1696 sq ft 2 bed/1 bath rental. Spring water rights, one of the oldest in the state! Plus well water is approved for commercial crop irrigation. Shop with RV door and office. Equestrian indoor 120x244 arena built in 2000, 8 stalls, horse shower, tack room, small arena viewing platform, loft above stalls, fenced. Hay pasture for farm income." "Come home to this gorgeous gated acreage property w/ views of the valley & mountains! Spacious screened deck and Xl patios for NW living and entertaining! Open floor plan concept, with high end designer finishes.Two masters on main, steam walk in shower, separate butlers pantry w/kitchen, office & library,bonus room w/theatre. Xl garages & 40x50 shop. Manicured landscaping oasis!" 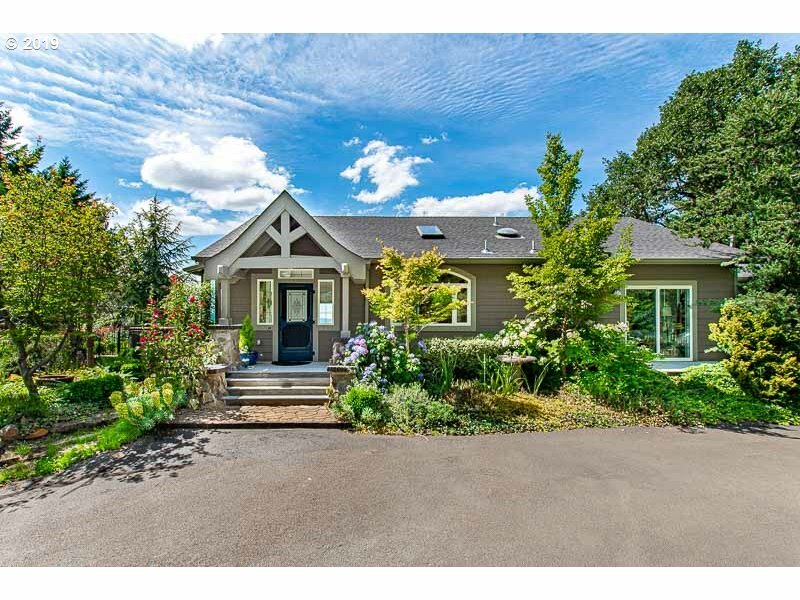 "West Salem home on acreage w/ a stunning remodel in 2018. Main level w/ Lrg gourmet kitchen w/ 5 burner propane range, pantry & lrg island. Formal dining, refinished hard wood floors & crown molding thru-out. Marble floors in oversized study w/builtin book shelves. Wood burning fp in lvg rm & master. Master w/ walk-in shower, sauna, his & hers closets that connect to xtra bathrm & laundry rm. All beds location on 2/3. Possible dual lvg." "Gorgeous Salem Estate! Newly upgraded custom home features 4,599. Sq Ft 4 bedroom, 3 ba. Natural stone siding. 10 car garage on 14.45 acres. Exceptional quality thru out. Includes 60 x 120 riding arena with 5 stall barn, tack room & office. in ground pool, Koi pond, tennis court, pasture with white vinyl fences. Pudding river frontage with water rights. Auxiliary Building. * Please view virtual tour to see all photos"
"2.69 acres in the heart of S Salem with 3 access points to the property. SUBDIVIDABLE! Potential of 8 addl lots. Charming Colonial home, remodeled & updated in 1989! 5000+ SF w/5 bdrms. Master suite w/FP, private balcony, 2 WICs, jetted tub, shower, dual vanities. Formal LR & DR w/FP, Informal DR/FR w/hardwood floors, FP & built ins. Kitchen w/European cabinetry. Attached 1 bdrm apt w/separate entrance. Candalaria School District." 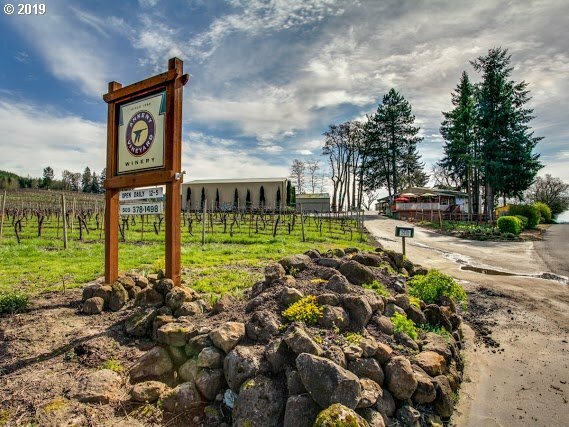 "Ankeny Vineyard is a picturesque winery, tasting room and vineyard in the South Salem Hills. 15 acres planted in Pinot Noir, Pinot Gris, Chardonnay and Early Muscat. South, Southeast and Southwest aspect with Nekia, Witzel, Hazelair and Steiwer soils, elevations from 220-450. Established tasting room with regular traffic. Updated farmhouse to be rented back to seller. Call listing agent for details." "Exquisite home offering multiple mountain views. Masterfully crafted interior w/high end finishes & designer touches. Spacious living room features walls of windows, coffered ceilings & recessed lighting. Formal dining room w/deck has garden & mtn views. Gourmet kitchen w/custom fixtures, island, pantry & storage. Main floor master w/ dual sink vanity & huge w/in closet. LL has a large family room that opens to covered deck & garden." "Iconic vintage home in heart of Candalaria w/lovely west view of the coast range & valley. Just under 1 acre tucked away w/private drive. Beautifully landscaped, woodland garden featuring plants & trees blooming most of the year. Stately home has brick & cedar exterior, leaded glass windows & new roof. Impeccably maintained with period authentic remodeling. Main level MBR, guest suite & den, & 3 BRs upstairs. Daylight basement & more!" "4.99 acre private estate w/panoramic views. Inside is a modern interior w/ an impressive gas FP, smooth travertine floors & floor to ceiling windows. Great room opens to chef s kitchen w/ granite, custom cabinetry, SS appliances, 5-burner gas range. Main level master suite w/ a large soaker tub, a tile shower w/ dual shower heads, & large WIC. LL has a family/media room, work out studio, large bedroom suite, & another guest bedro"
"Rare opportunity! Property with multiple development possibilities. Nice mid-century home with huge 50'x70' 4 bay shop on 3.55+- fenced acres zoned UT/RM. Adjacent properties are zoned IBC/Comm. Property has 2 tax lots. Buyers to check with governing bodies regarding development possibilities. Seller will do no repairs & being sold as-is. Personal Property belonging to the Estate is excluded from the sale. DO NOT DISTURB TENANTS." "Once in a rare while will a truly magnificent home such as this become available. Built without compromise and tastefully and elegantly updated this home reflects only the very best. Live in style in this stately mansion in the heart of Fairmont. Blt in 929 and very nicely updated this wonderful and lovely home is full luxury and the finest features and fittings. If you promised yourself the very best here it is." "ILLAHE Hills Estate luxurious home with a view! Master Suite on Main w/ dual walk-in closets, dual vanities, & jet tub. This home boasts an open floor plan w/ wrap around deck for outdoor entertaining. 4 Bedrooms, 5 Baths, Breakfast Nook, Formal Dining, Den/Office/Work Out room, Theater/Game Room, Wine Cellar. Large gourmet kitchen with an abundance of counter space & storage is complete w/ SS & Gas Appl. Your new home @ Illahe awaits!" "Gated entrance to this peaceful & private home on almost 8 acres. 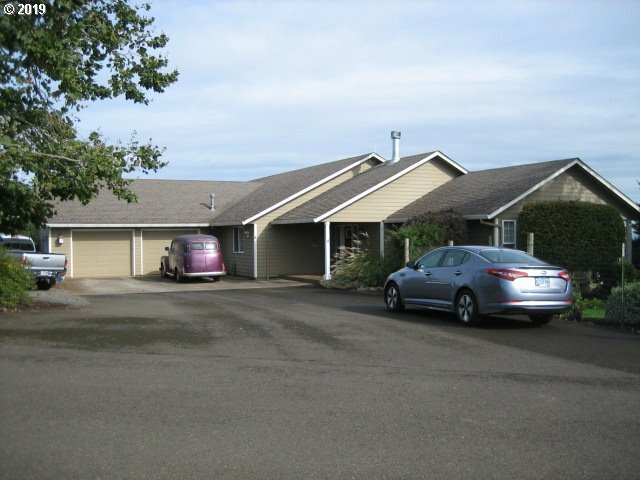 This one owner home has large spacious living room w/ vaulted ceilings, lots of big windows and fireplace. Sunroom off kitchen is a great place to hang out, dining room w/ built-ins & the laundry room is large enough for hobbies. 2 car garage with storage. Outside small shop/shed & huge garden areas." "Single-level living w/ 2 master suites, vaulted living room w/FP, theater room w/automatic black out shades, 2 car garage plus detached garage & workshop under house. Updated gourmet kitchen includes gas cooktop w/downdraft, double ovens, warming drawer, dish drawers, lots of cabinets & granite countertops. Master en suite features large bathroom with walk in tile shower and Japanese soaking tub. All of this PLUS a multi mountain view!" 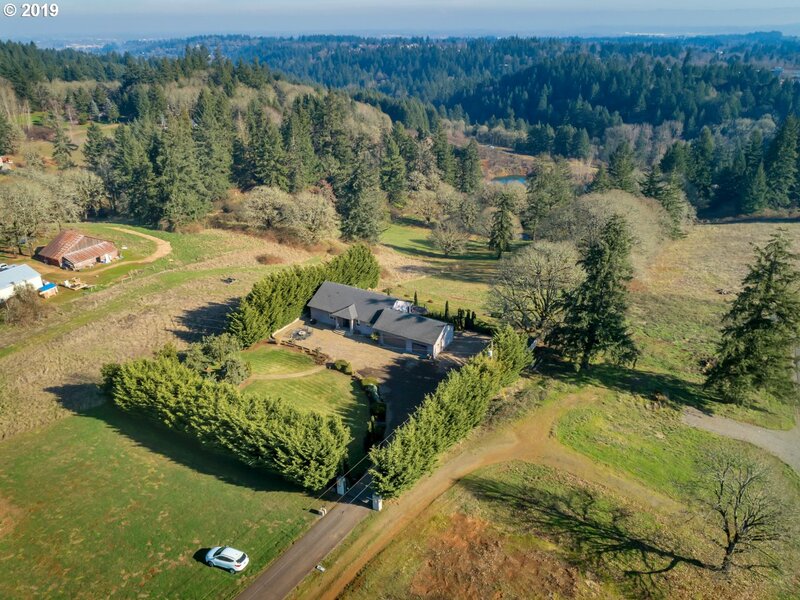 "Located on over 2 acres, w/ a long private drive, it s perfect for connecting w/ nature & enjoying panoramic views. Inside you ll find vaulted beam ceilings, walls of windows, skylights, millwork & built ins. Kitchen has breakfast bar, pantry, & custom cabinetry. Master suite has an elegant ensuite bath & opens to a bonus room w/ private deck. There is also another main level bedroom & full bath. LL flex space perfect for dual li"
"Fairmount Hill! 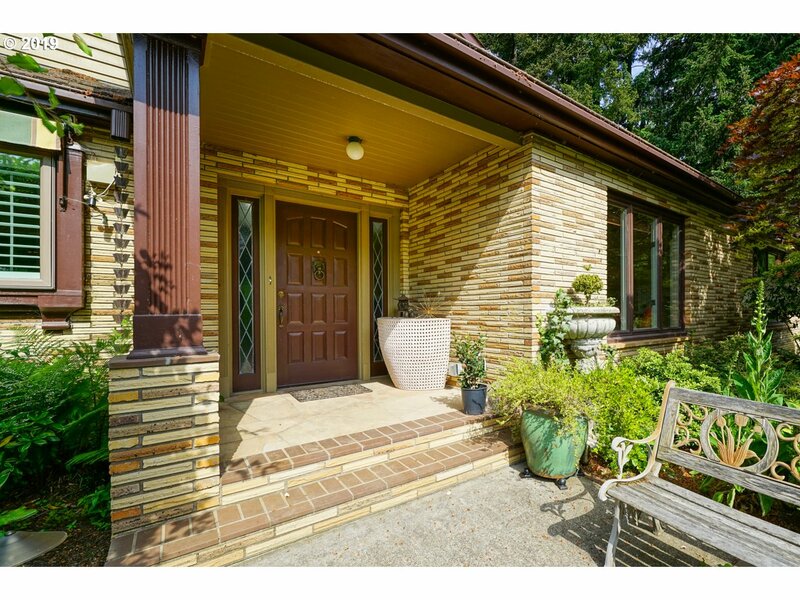 Classic 1950 2 story home at top of the hill boasting .60 acre of lush grounds w/breathtaking! 3656 SF w/updates throughout. Formal Living & Dining rooms w/lots of built ins, floor to ceiling windows & gas FP. Dream kitchen w/granite & s/s apps. 4 bdrms plus office & 3.5 baths. Fabulous Family Room w/lots of built ins. Step out to private covered patio for complete relaxation. 966 SF detached garage/shop." "Absolutely beautiful property and great location with many possibilities. County indicates possible development potential in highly desired West Salem area of multiple water front lots. Also update current home, finish basement and have a beautiful lakefront property. In addition there is income from water sold to a local Water Association. Buyer responsible to perform due diligence concerning water, sewer, access requirements and confi"
"Illahe Hills Estates! 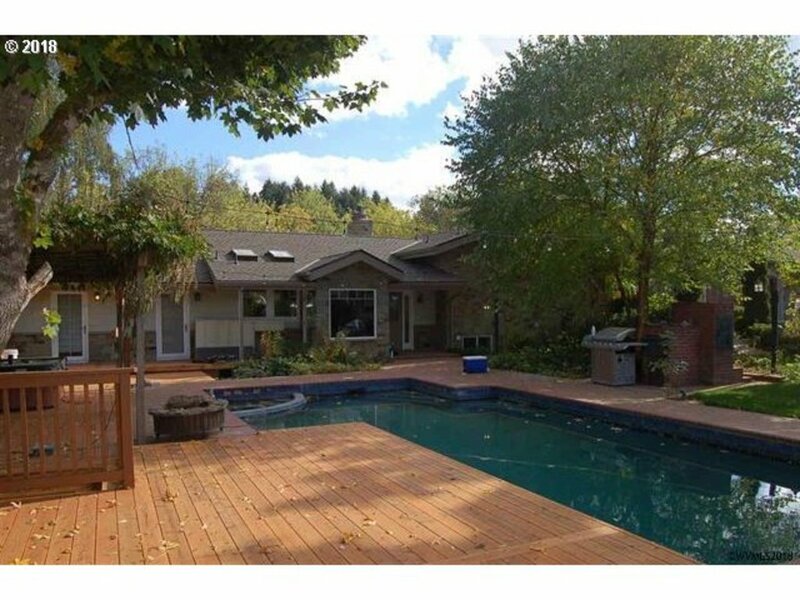 4222 SF Tri-Level home nestled amidst tall trees on .30 acre lot. 5 bdrms, 3.5 baths. High vaulted ceilings. Formal living room w/floor to ceiling stone FP; formal & informal dining; Convenient kitchen. Spacious bedrooms, each w/private balcony or patio. Cozy family room w/knotty pine walls & FP. 35x35 Game/Recreation room with lots of possibilities. Double attached garage, fenced backyard. County taxes." "Updated custom 2 story home w/ vineyard in Eola-Amity Hills AVA. Beautiful 3 bed, 2 1/2 bath home, turn-key w/ updated kitchen and baths, large bedrooms, 2nd floor master with walk-in closet and en-suite bath. Detached shop with bonus room above. Meticulously maintained 4.25 acre vineyard produces premium Pinot Noir and Tempranillo grapes used in award winning wines. Replanted on grafted rootstock 2007-2014. Farm eqpmt. negotiable."